Rao Kashif Rahim Khan son of Rao Abdul Rahim Khan was born on March 1, 1970 at Samundri. He obtained the degrees of M.A. in 1996 and that of LL.B. in 2001 from Punjab University Law College, Lahore. An agriculturist and a lawyer, who served as Member, Provincial Assembly of the Punjab during 2008-13 and has been re-elected as Member, Punjab Assembly for the second consecutive term in general elections 2013. H.No. P-109, St No. 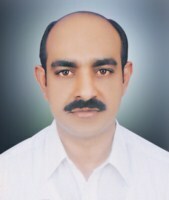 47, Ravi Mohallah, Tehsil Samundri, District Faisalabad.